The size, scope, and power of the modern administrative state has far surpassed even the direst imaginings of the Founding Fathers. One of the primary ways Thomas Jefferson justified the split from Great Britain in the Declaration of Independence was King George III’s empowerment of bureaucrats to “harass our people and eat out their substance.” After the conclusion of the Revolutionary War, the Framers of the Constitution took great pains to prevent just such an abuse by dividing the power of the new federal government into separate but co-equal branches, designed to check and balance each other. Familiarly, Congress is vested with the power to make the laws, the President is vested with the power to sign or not sign the laws, as well as enforce the laws, and the Supreme Court is vested with the power to decide the constitutionality of the laws passed by Congress. According to James Madison, the “Father of the Constitution,” “[t]he accumulation of all powers, legislative, executive, and judiciary, in the same hands, whether of one, a few, or many, and whether hereditary, self-appointed, or elective, may justly be pronounced the very definition of tyranny.” And yet this troubling mixing of constitutional powers is exactly what has occurred in the modern administrative state, which has been allowed to perpetuate and fester for decades. But it is the so-called Chevron Doctrine that represents the single greatest threat to individual liberty. Chevron U.S.A., Inc. v. Natural Resources Defense Council, Inc. began simply enough. In 1977 Congress amended the Clean Air Act to ensure that states complied with air quality standards established by the Environmental Protection Agency (EPA). Under the amended Act, non-compliant states were required to establish a permit program regulating “new or modified stationary sources” of air pollution. The problem in the case centered, as it does in many legal challenges, on competing definitions. Under Jimmy Carter, the EPA defined “new or modified stationary sources” of air pollution as individual polluting devices. But once Ronald Reagan took office, the EPA redefined “new or modified stationary sources” of air pollution as encompassing entire plants, the effect being that as the total emissions from a plant did not increase, even equipment that violated the new standards could be legally procured. 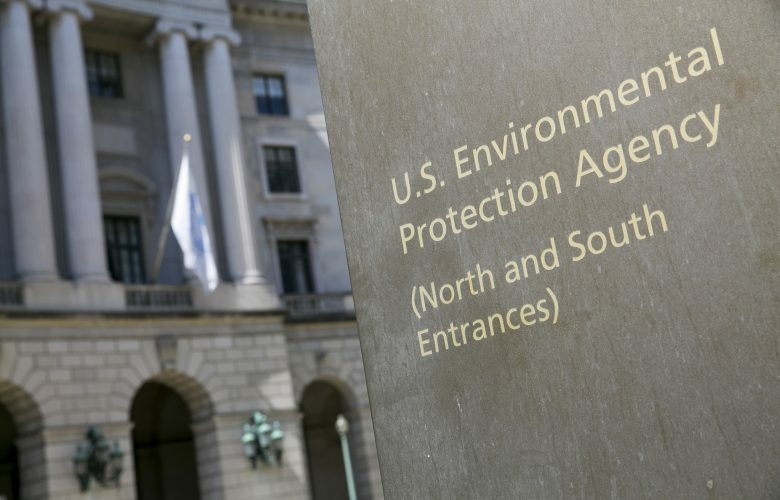 The Natural Resources Defense Council, an environmental protection group, challenged the new EPA regulation. When the district court ruled in the Council’s favor, Chevron U.S.A., a party affected by the outcome of the case, appealed the decision to the Supreme Court. The question facing the Court was how much judicial deference is due to agencies when they interpret their own congressionally mandated enabling statutes. Or, put another way, should agencies be allowed to determine the limits of their own power? In perhaps the most stunning example of judicial abdication in the last forty years, the Court answered: yes. Writing for a six justice majority, Justice Stevens laid the groundwork for the most constitutionally damaging doctrines of the modern era: “When a court reviews an agency’s construction of the statute which it administers, it is confronted with two questions. First, always, is the question whether Congress has directly spoken to the precise question at issue. If the intent of Congress is clear, that is the end of the matter; for the court, as well as the agency, must give effect to the unambiguously expressed intent of Congress. If, however, the court determines Congress has not directly addressed the precise question at issue, the court does not simply impose its own construction on the statute, as would be necessary in the absence of an administrative interpretation. Rather, if the statute is silent or ambiguous with respect to the specific issue, the question for the court is whether the agency’s answer is based on a permissible construction of the statute.” That is to say, when Congress speaks clearly, it has spoken clearly. Easy enough. But the issue in the case concerns when Congress does not speak clearly. What then? What happens when congressional mandates are ambiguous? What is a “permissible construction”? How are agencies supposed to define “permissible”? These are questions that the Court left purposefully open. As a result, in the decades since the decision the Chevron Doctrine has allowed agencies nearly unfettered authority to determine the limits of their own congressionally bestowed powers, enabled Congress to enacted purposefully ambiguous statutes as a means of avoiding democratic accountability, and left individual liberty subject to the whims of professional bureaucrats. How in any rational sense can such a system be described as a government of limited powers? James Madison also once wrote that “[i]t will be of little avail to the people, that the laws are made by men of their own choice, if the laws be so voluminous that they cannot be read, or so incoherent that they cannot be understood; if they be repealed or revised before they are promulgated, or undergo such incessant changes that no man, who knows what the law is to-day, can guess what it will be to-morrow. Law is defined to be a rule of action; but how can that be a rule, which is little known, and less fixed?” Unless and until we reign in the power of the modern administrative state, beginning with the poisonous Chevron Doctrine, the American people risk the Framer’s experiment in liberty becoming so compromised as to no longer exist. The time to fight back has come.